If you love to skate and are thinking about getting into hockey, there’s good news – the rules of ice hockey are very easy to master. This means you won’t spend a lot of time worrying about details. You’ll be able to focus on speed, developing skills, and having a good time. The objective of the game is to shoot the puck across the opposing team’s goal line and into the net, scoring a point each time. Hockey is a fast-moving sport with lots of action, making it a fun and exciting game to play. The four basic positions of a hockey team each have specific responsibilities during the game. For that reason each position requires certain skills for success. Goalie: The goalie’s primary responsibility is to block shots against the team’s net. The goalie spends the entire game in close proximity to the goal that he protects. Center: The center correlates most closely with the quarterback in American football. He covers the ice from end to end while coordinating and directing play. Wings: The two wings play to the right and left of the center closest to the opposing team’s goal. The wings’ primary role is to advance the attack and score goals. Defensemen: The two defensemen play closer to the net, typically “behind” the wings and center. Their primary function is to stop opposing attacks, help the goalie, and clear the puck from the area in front of the net. In order to understand the basic rules of ice hockey, you must understand the hockey rink itself. 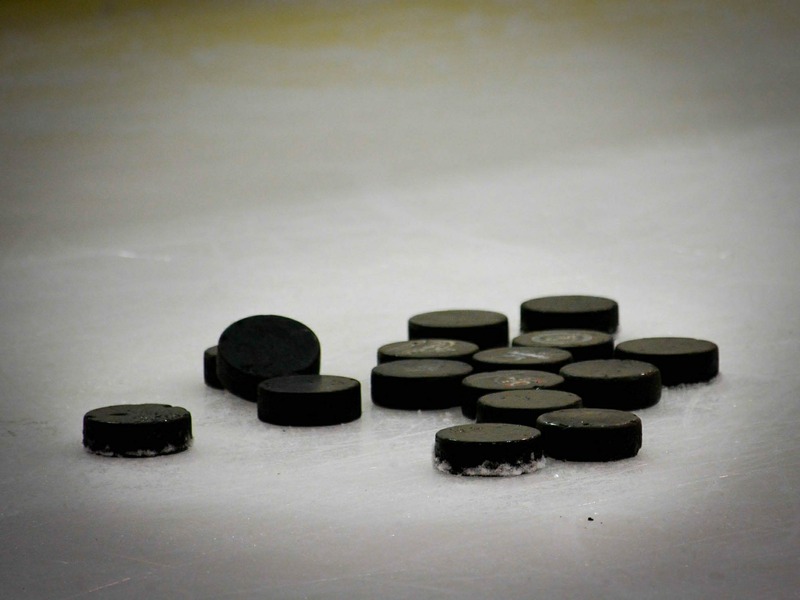 Although there are two different hockey rink specifications (those of the International Ice Hockey Federation and those of the National Hockey League), most hockey rinks are similar in their dimensions. Generally, an ice hockey rink is about 60 meters long and about 30 meters wide. Center line: The red center line divides the ice in half crosswise. 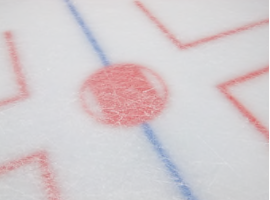 Blue lines: There are two blue lines that also divide the rink crosswise. The blue lines are about 15 meters apart and about 20 meters from their respective goal line. The blue lines divide the rink into three sections called zones. The area between the blue lines is the neutral zone. The zones closest to the goal line are referred to as either the attacking or defending zone depending on which team occupies it. Goal line: The goal lines are red and divide the rink crosswise. Goal lines are located about 4 meters from the end boards. Offsides – Players on the attack towards the opposing team’s goal may not cross the defending team’s blue line (into the “attacking zone”) before the puck crosses the blue line. Two-line pass (also called “offside” as opposed to “offsides”) – A two-line pass occurs when a player passes the puck from the defensive zone across the closest blue line and the center line. After crossing the blue line, another player must touch the puck before it crosses the center line. – The shooting team is killing a penalty. – A teammate touches the puck before an opposing player does. – The defending goalie touches the puck first. – The puck passes through the crease (semicircle of blue paint around the mouth of the net) before it crosses the goal line. Now that you know more about the rules of ice hockey, come join us! We think playing pickup hockey is the best possible way to start your day. A crisp morning on the ice gets your blood pumping and clears your head in a way few other sports can. 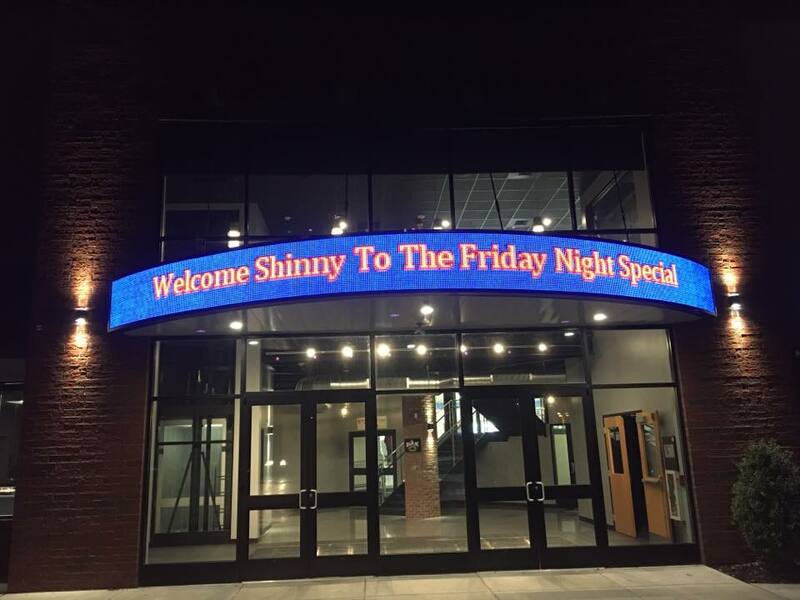 Shinny USA adult hockey league is fun and provides an excellent workout at the same time. Whether you’re 20 or 60, we’ve got a place for you. Contact us to find out how you can get on the ice and start moving!